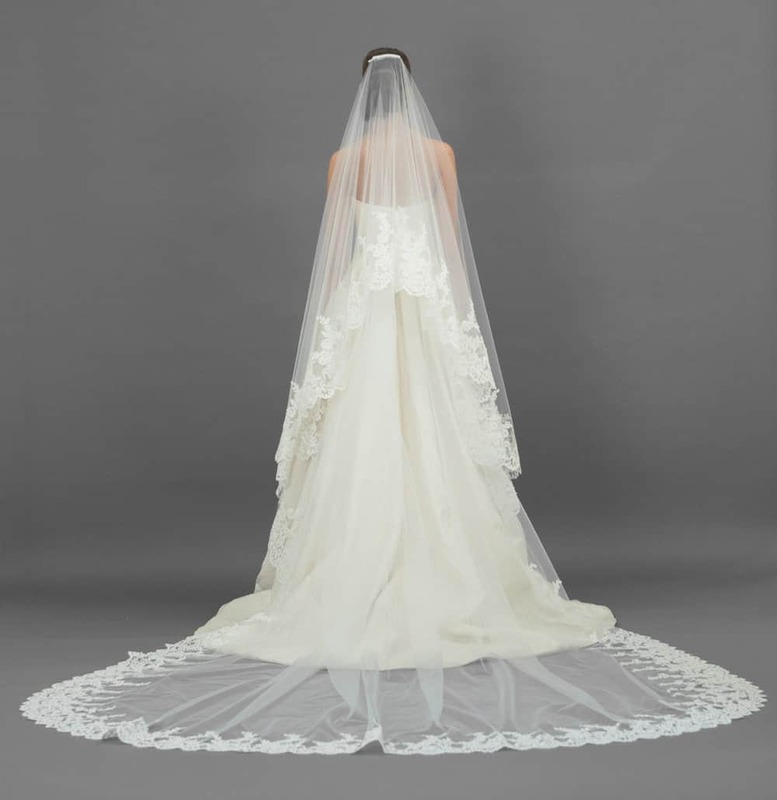 Cut from light ivory tulle the Poppy Veil is edged with corded floral lace and adorned with pearls. The over the face tier is handstitched onto a comb which can be slipped into an updo or will stay neatly put slotted into loose waves. 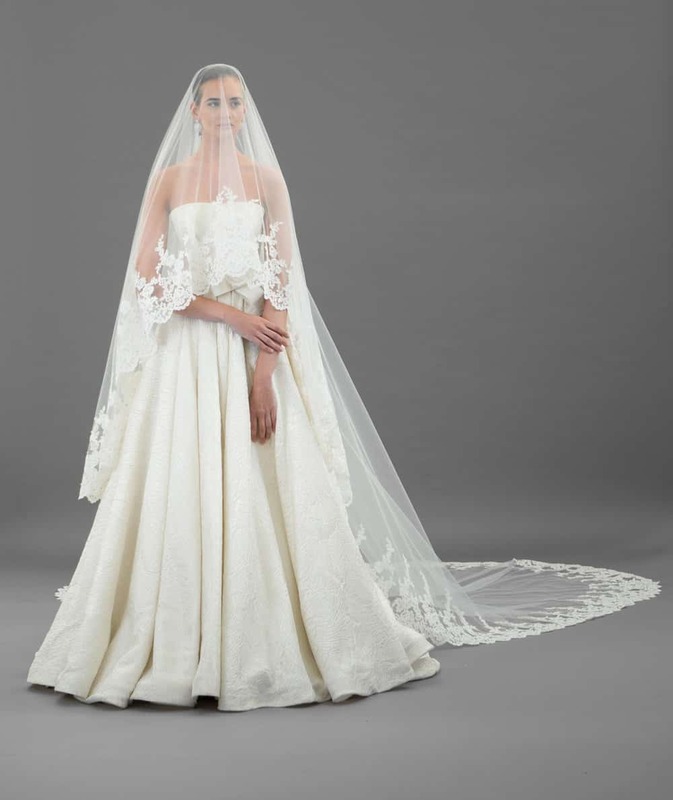 Light ivory shade pairs with white, off-white and ivory gowns.